Ahmed Zanna: "There is no political will to fight Boko Haram"
As politicians from Nigeria, Chad, Cameroon, Niger and Benin pledge in Paris to defeat Boko Haram, a Nigerian senator tells DW the government must do more to fight terrorism on a national scale. Deutsche Welle: It has been alleged that the security forces knew some hours in advance that a Boko Haram attack was going to take place in Chibok. If so, why were the terrorists able to abduct more than 200 girls unhindered? Senator Ahmed Zanna: Yes, it is really worrisome, and it has been the norm for the past six months or so. On some occasions, Boko Haram would even send a letter to where they were going to attack. That information would be relayed to the security agencies, but unfortunately there would be no response before the attack took place. According to the information we got from reliable sources, the security agencies were informed maybe three or four hours before the attack, and they were not able to do anything. When Boko Haram eventually attacked, all of them just vanished. When one of the soldiers heard Boko Haram had attacked Chibok, he fell down and died from a heart attack. He was a military man or a policeman - I can't remember which - but I was told that he fell down and died when he got that information. And then the rest of them ran away. Nigeria spends about 4.5 billion euros ($6.2 billion) on its military. So why are the army and police not able to do more? Actually, I'm really perplexed by the attitude of our security agencies, particularly in relation to the protection of lives and property. According to the field commanders that I was able to get in touch with and some army personnel that I had discussions with, they were actually not being given proper arms. And they don't have enough arms. Even uniforms are sometimes lacking. So the morale of the army is very, very low. I don't know the reason why they refuse to buy the arms and where the money goes. We are now trying to investigate and find out. That will verify whether they have bought the items and are hording them somewhere or [establish that] they did not even buy them. So it is really surprising to me as a citizen of Nigeria – and not only to you as a European. There are reports that high-ranking officials, including you, know the possible whereabouts of those abducted girls. What can you say about that? Actually, I was being informed by our own people. In turn I also informed the security agencies that the girls were sighted at certain locations and that it was left to them to go and get them. I told them that they had moved from this place to that place and from that place to the next area. So that information has been available to them, and as I told other media, I don't want to say where, because maybe they have moved. I am very close to my constituents, and if they get any information, they let me know - because they know I am concerned. So that is my source of information. But you don't want to say anything about the latest information you got about where they might be? Yes, because it may endanger them. It may endanger the girls, because they may be moved to somewhere else again. So I think it is better for me to be quiet. If there is information about where the girls are, where they were or where they could be, why doesn't the government act on that information? As I told you, they lack fighting equipment and necessary items for detection. The technology is not there for our army. Now that the international community has come to our assistance, maybe they will be able to get to those girls and rescue them safely. Anyway, according to the information we just got, they said they are sure to get the girls back. That is the information they gave us. So we are hopeful. Do you think the support of the United States and the other countries is needed? In my opinion, we need it. This has been lingering for three years without an end to it. And particularly within the last six months, it has been escalating. If they had the capability, they could have brought it to an end. But since they have been fighting for three years and there is no end to it, I think the international community's attention is really required and their support is very, very necessary. At the moment, the whole world is talking about Boko Haram. How can you define Boko Haram? Is it really an Islamist terrorist group or are they a bunch of criminals? Or is Boko Haram something entirely different? 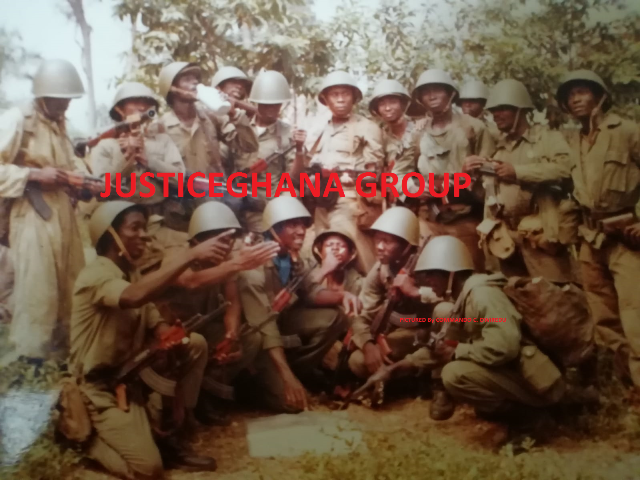 Initially, they started as an Islamic organization, but very gradually they became bandits. They have now turned into criminals. You cannot just go into a village and open fire on everybody, whether it is a Muslim, a woman or a child you kill. And you also destroy people's livelihoods. I mean this is madness. These are pure criminals now; they are no longer Islamists. And why are they so well-equipped? That is what surprises us. They collected most of the equipment from our army and police. I know they bought some from Chad …, but most of the equipment was snatched from our army and police. Even the president mentioned that he presumes there are Boko Haram supporters very close to him. Are there really any politicians or high-ranking army officials that support Boko Haram? As far as I know there is no politician who is funding these bandits. It is the system that gave them strength because of the lackluster attitude of the army. That gave them strength, or they wouldn't be the strong force they are now. This is really a failure of the system. … The government also does not care, because it is happening in a particular area and it is the people there who are killing their own people. These people are not their supporters. Therefore they allow it to continue. So what you are saying is that nobody directly supports them but there is also the lack of political will to fight them? Exactly. There is no political will to fight them. On several occasions, I have said that if there is the will, the military will win. What is the way forward then? If there is a lack of political will, how can the problem ever be solved? I want the government to look at it as a national issue. If one part of your body is affected, you can't neglect it because it is only a small portion of your body. Let it be seen as a national issue and let it not be seen as a local issue. Let it not be seen as a religious issue. It is an issue that affects the nation, and it has affected the economy of Nigeria. 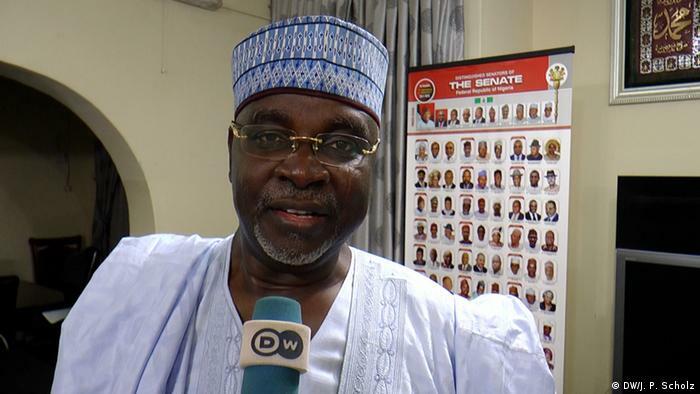 Ahmed Zanna has been serving in the Nigerian Senate for three years. Along with two others, he represents the state of Borno. He comes from the region that is hardest hit by Boko Haram attacks.